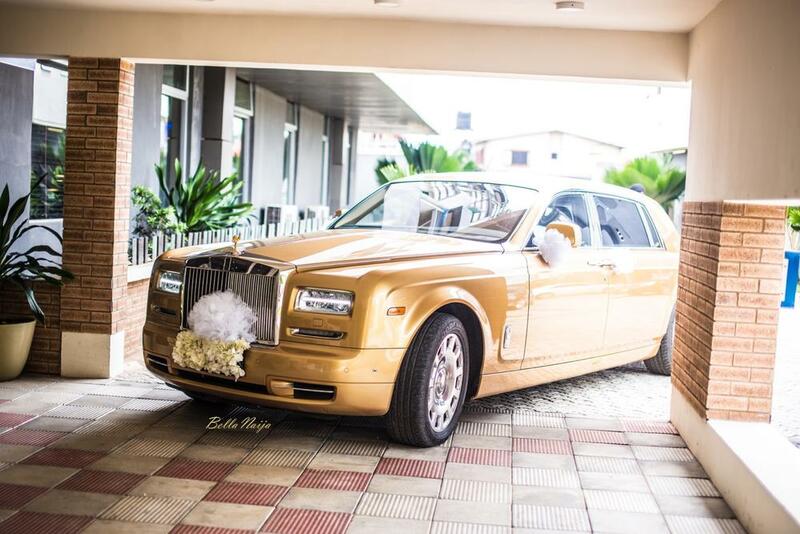 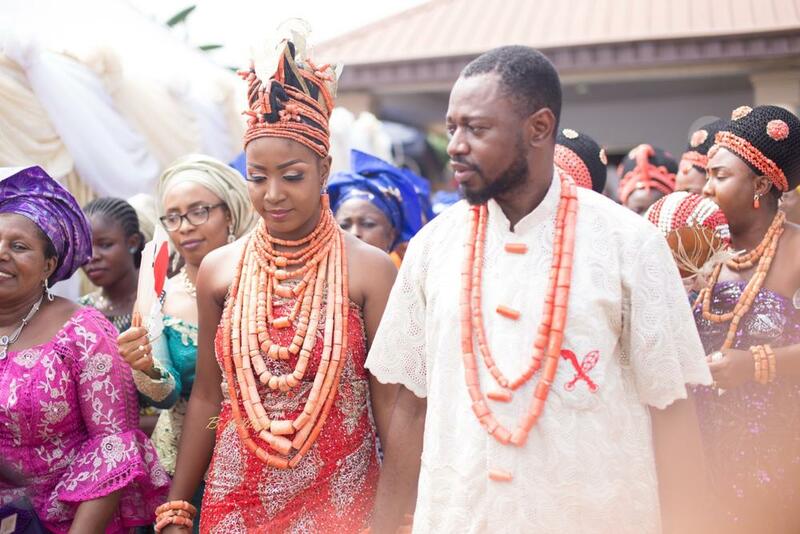 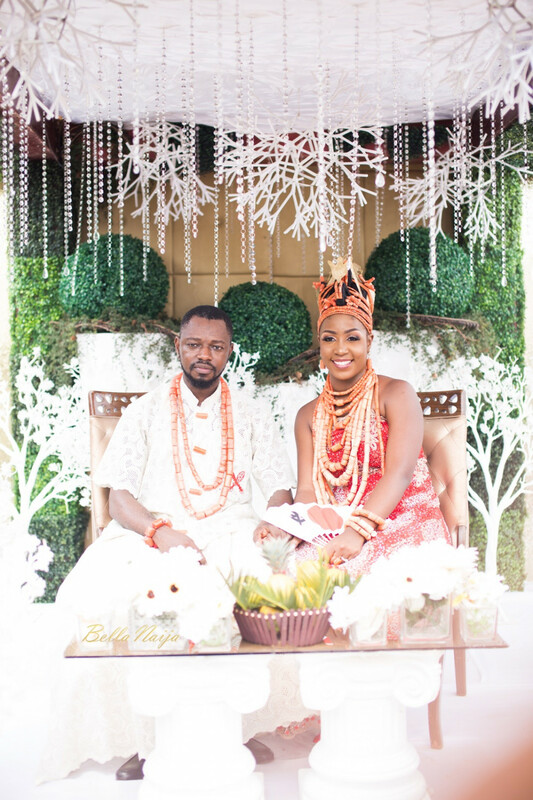 It was a grand wedding ceremony as Izebike and her beau Daniel got married in the beautiful city of Benin. 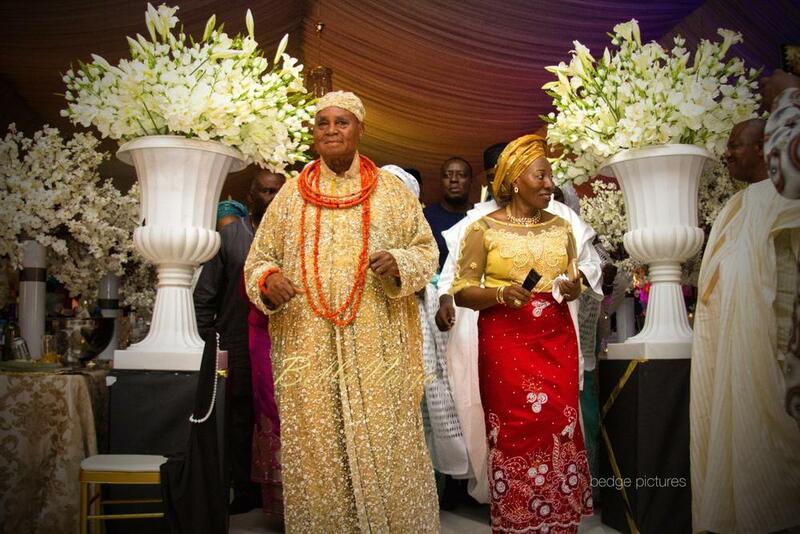 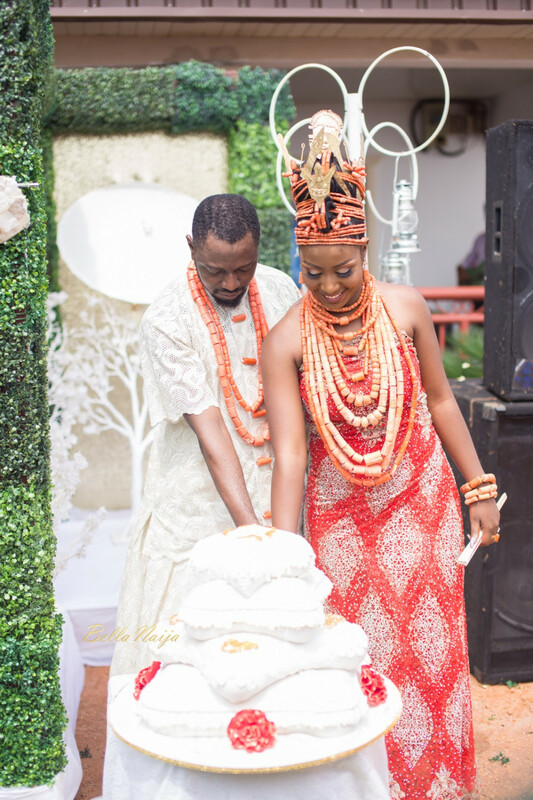 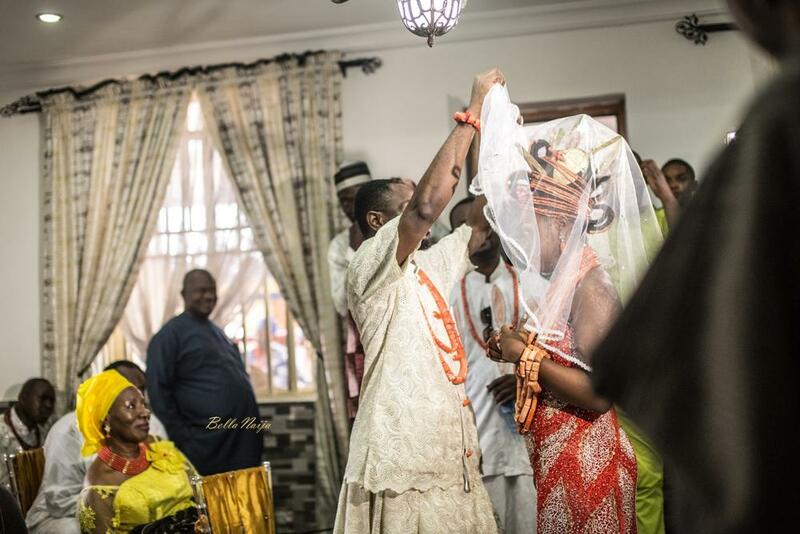 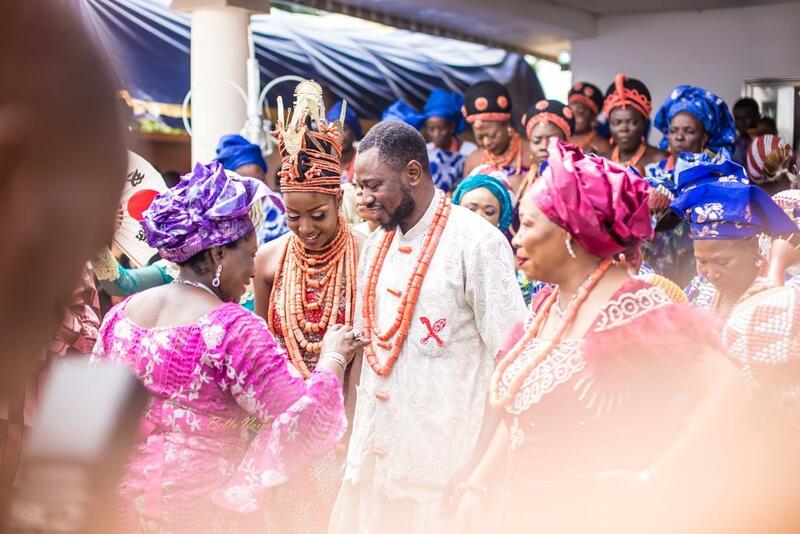 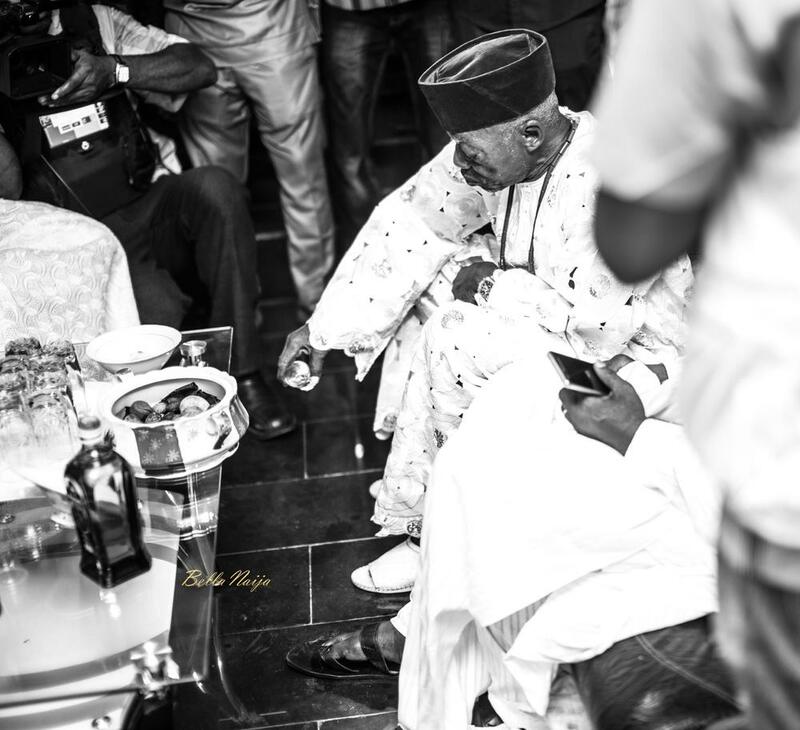 The traditional wedding was an intimate ceremony which is typical to the Edo culture. 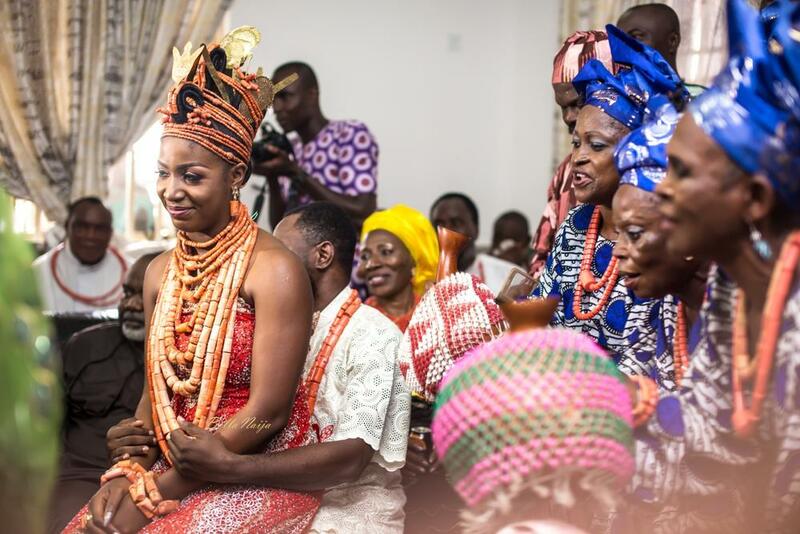 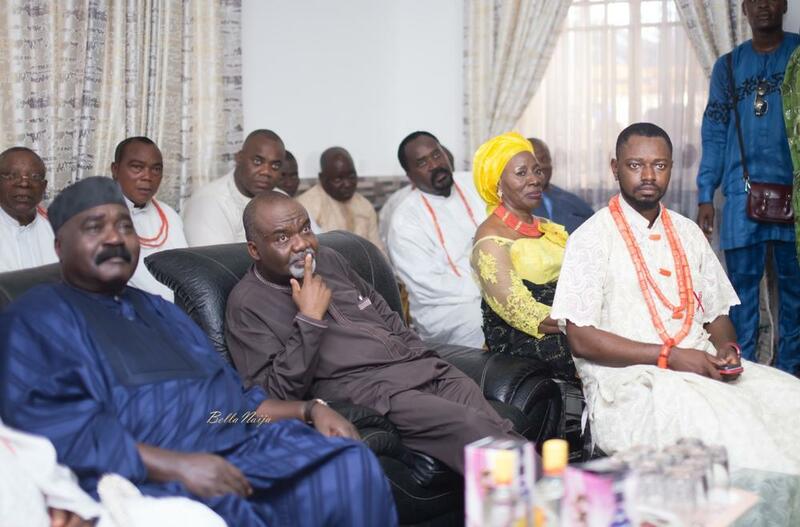 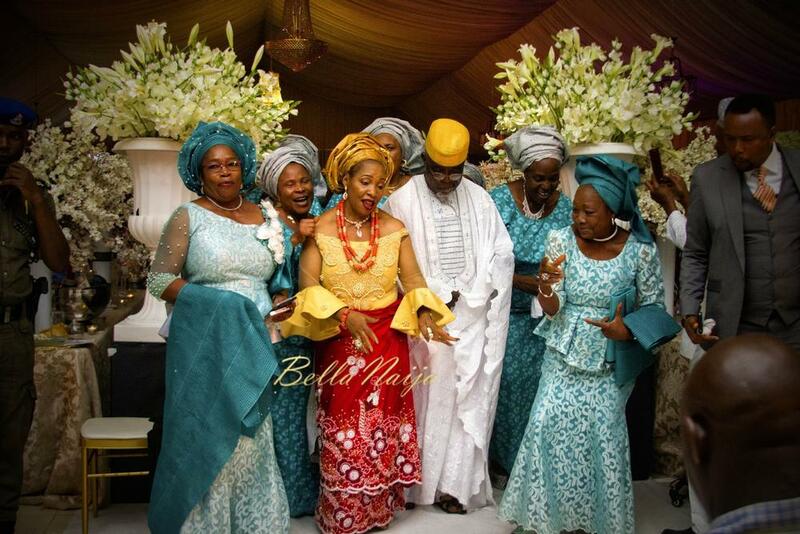 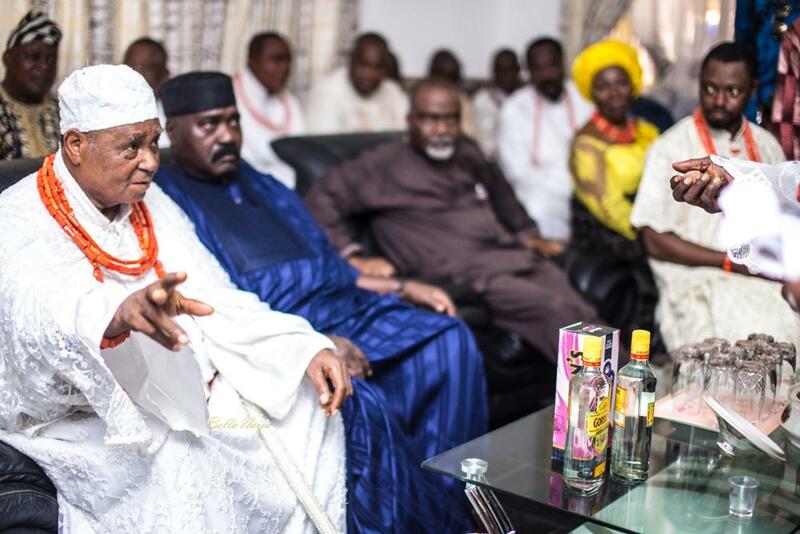 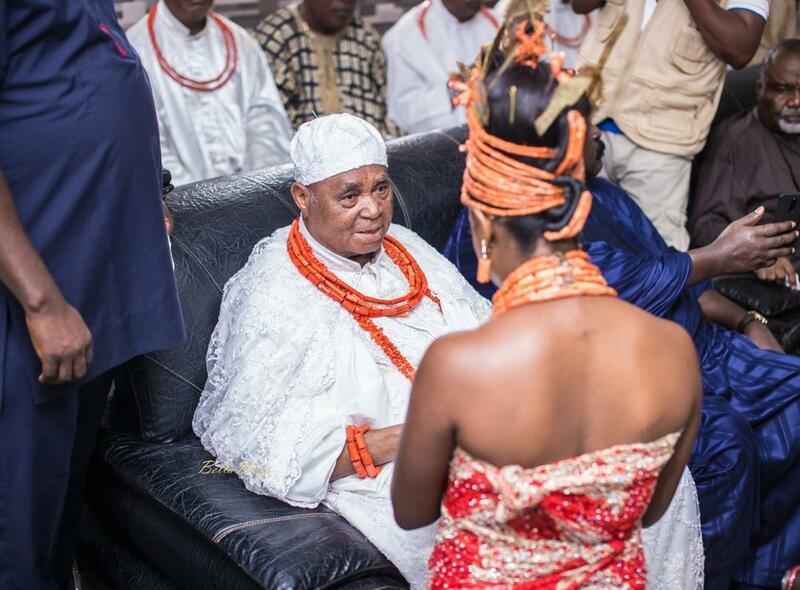 This event involves a bride price collection from the groom’s family to the bride’s family. 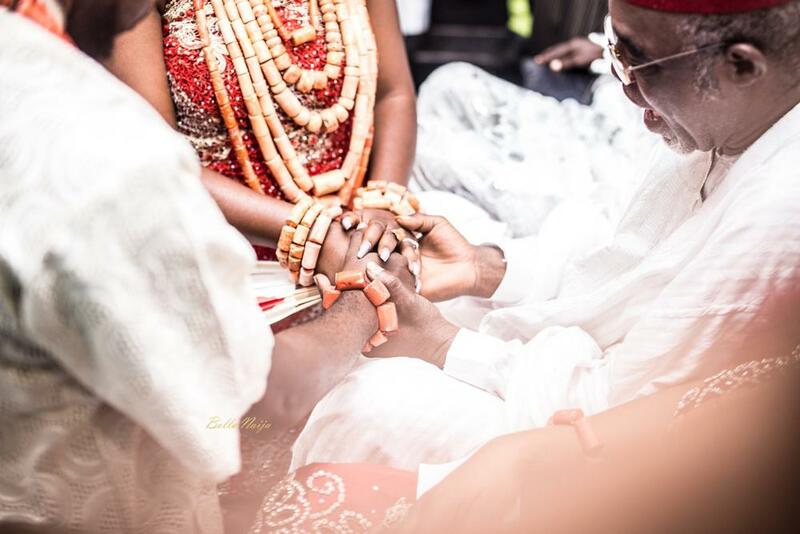 This amount is usually a token which symbolizes that the bride’s family is putting the bride in care of the groom and his family. 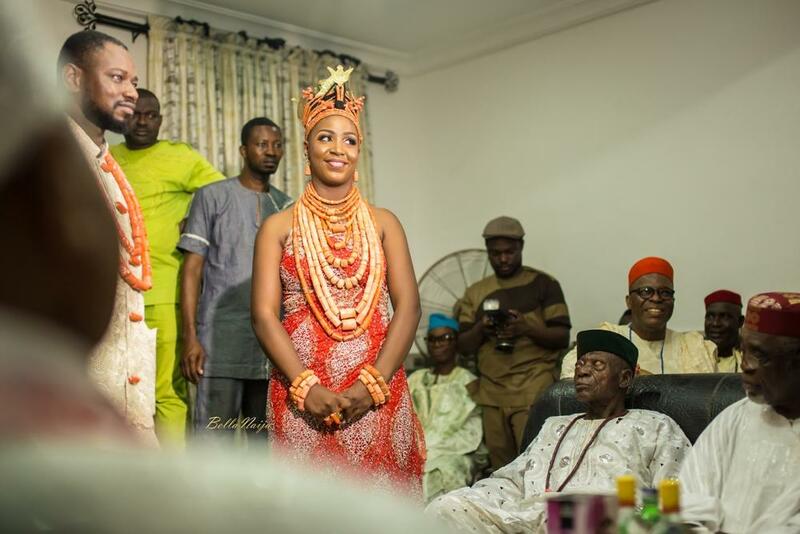 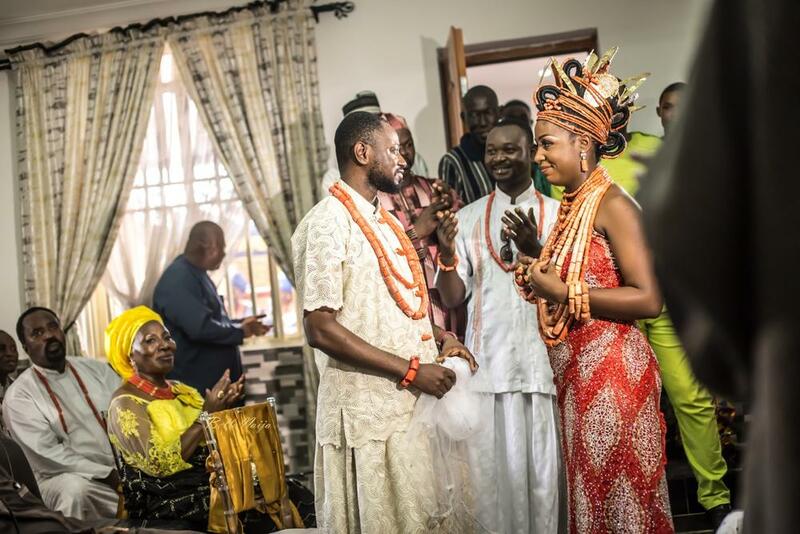 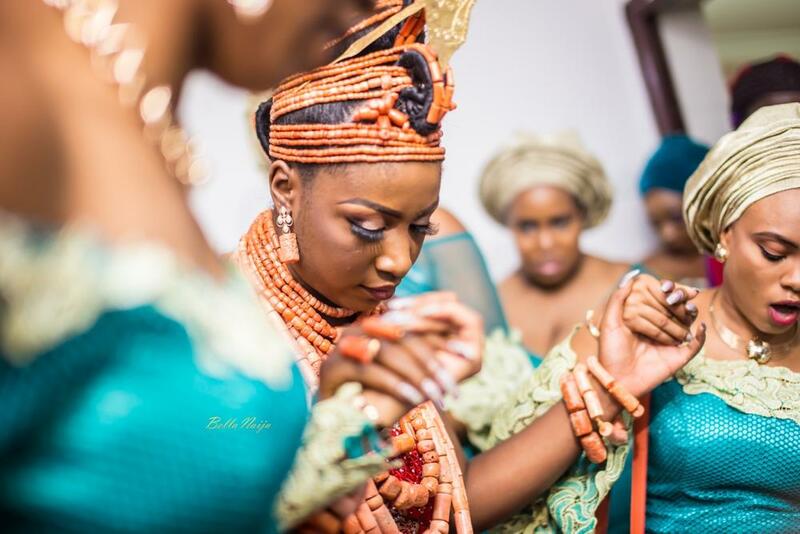 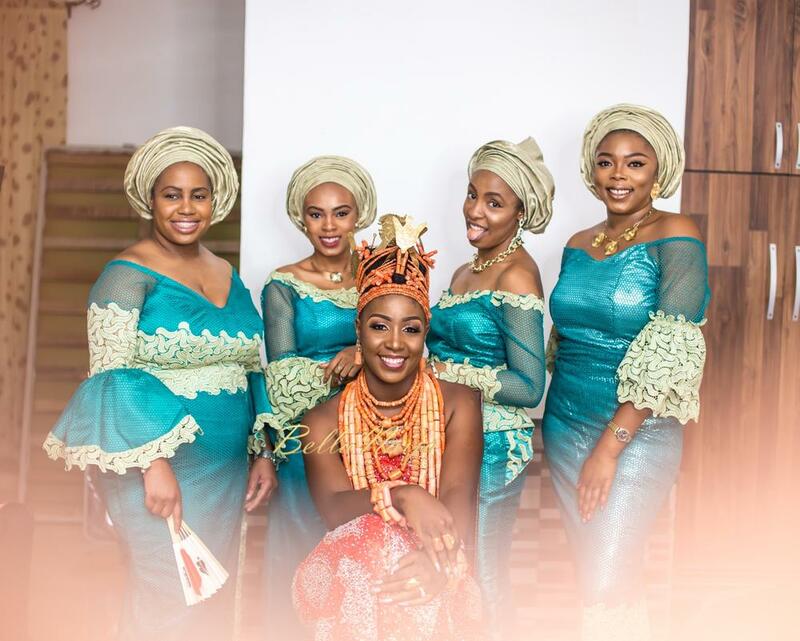 Izebike and Daniel’s traditional wedding ceremony took place in the bride’s family home and was followed by a colourful reception. 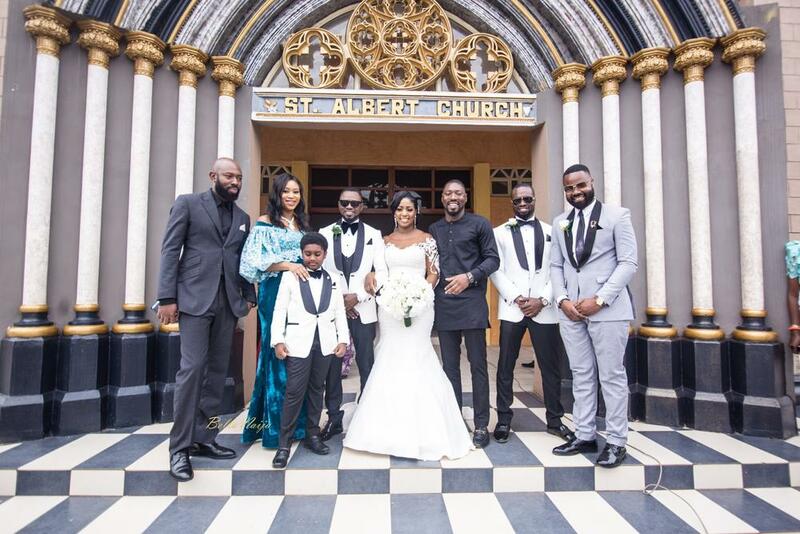 On Saturday, the couple invited family and friends to celebrate with them once again and they completed their Christian marriage ceremony. 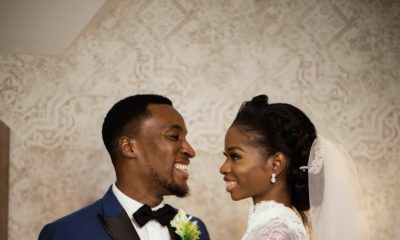 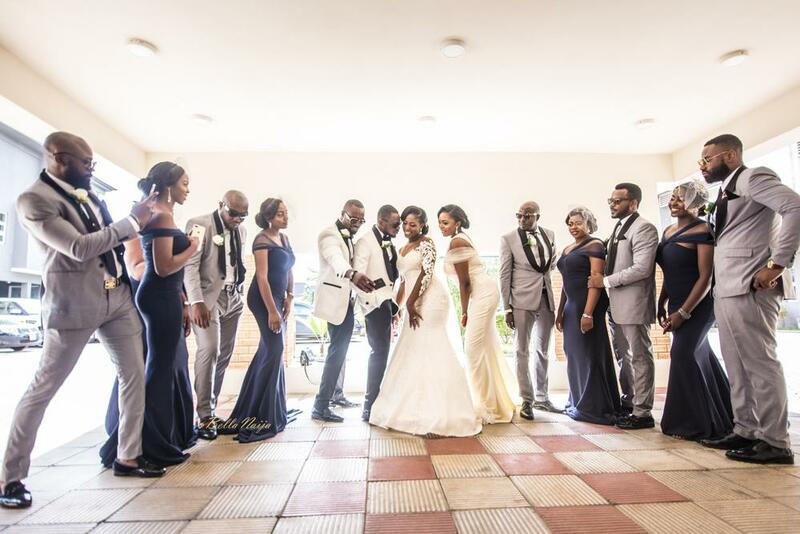 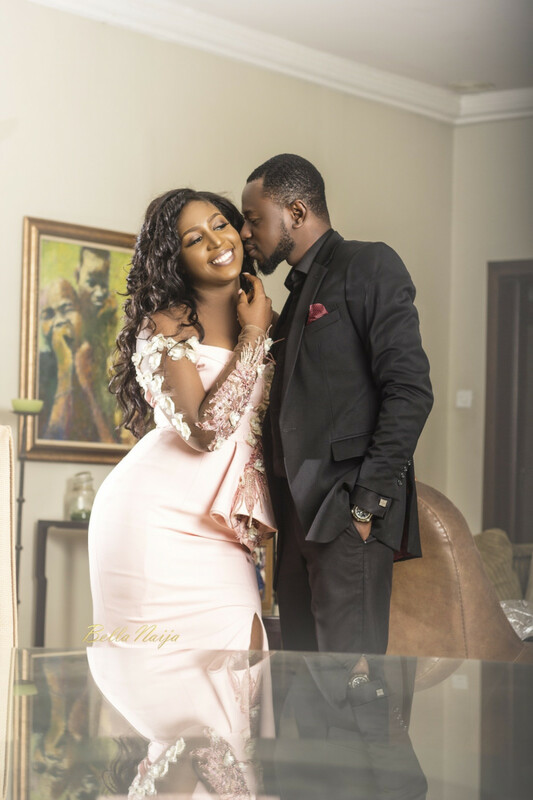 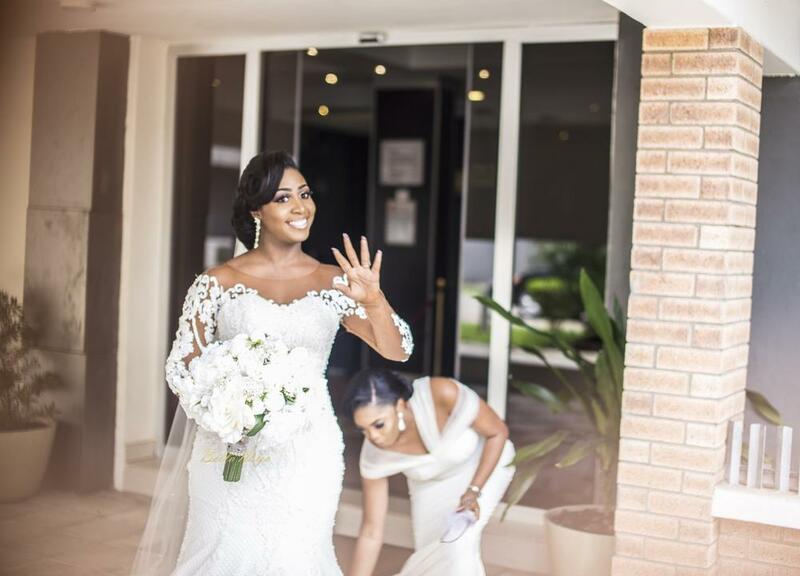 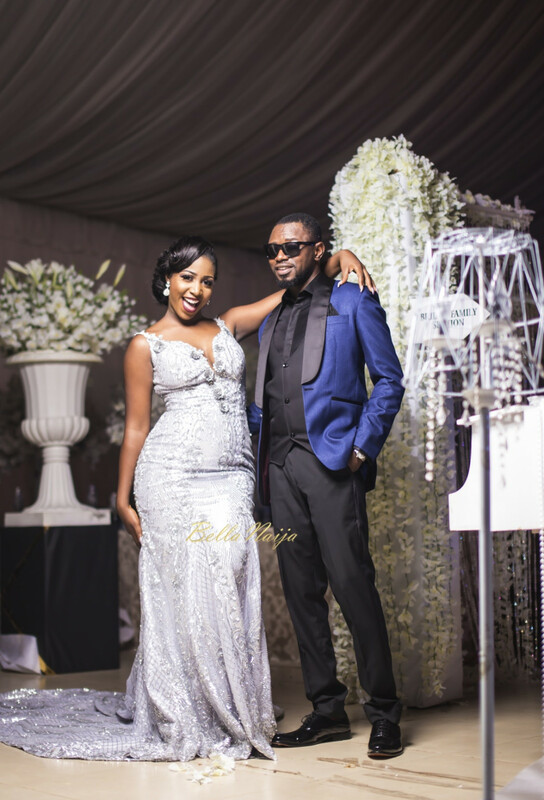 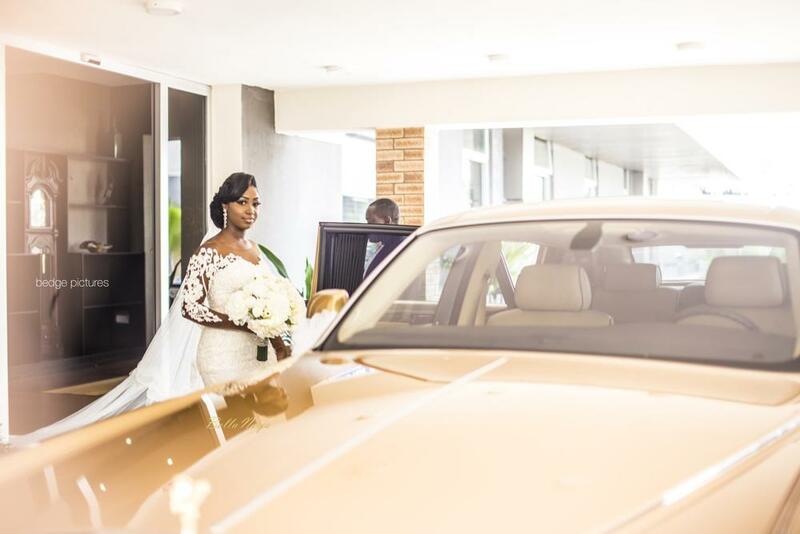 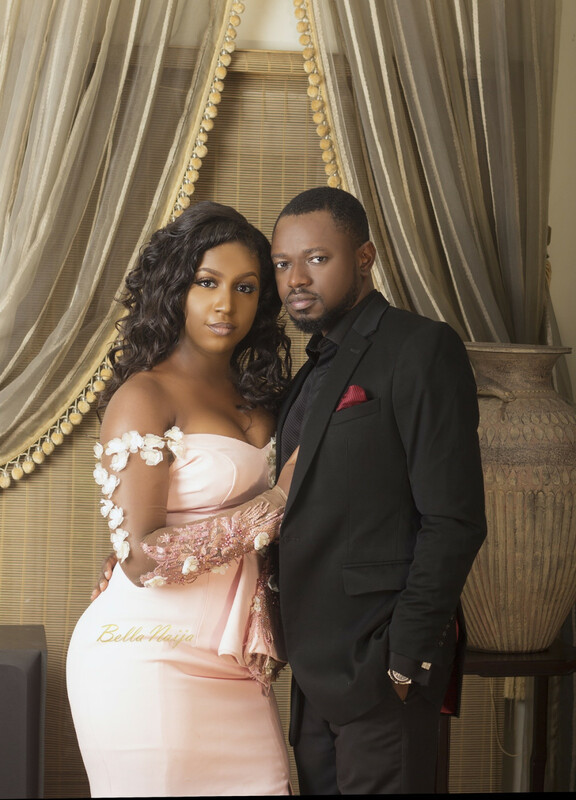 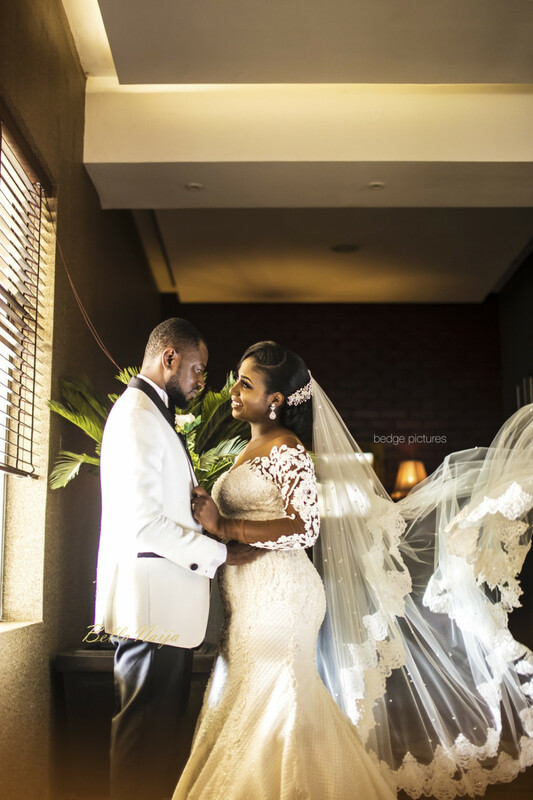 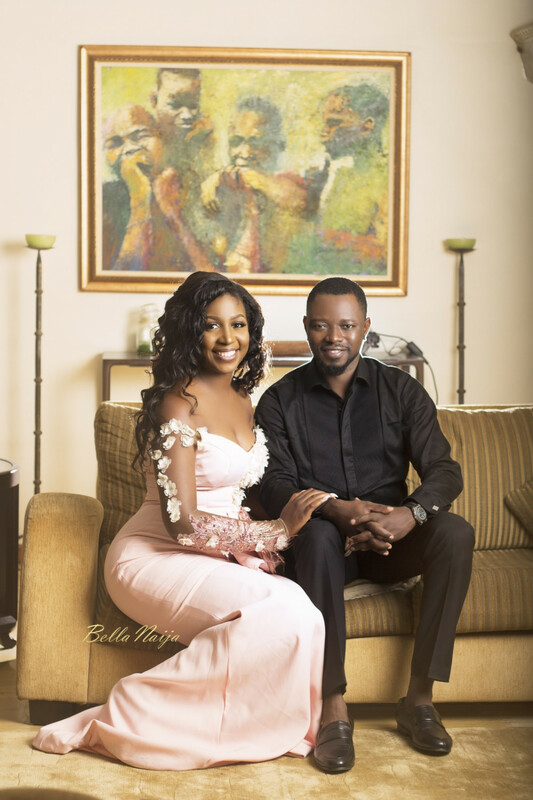 The bride Izebike looked amazing in a white lace dress by April by Kunbi while the groom Daniel made a sartorial statement in his white tuxedo with a black lapel. 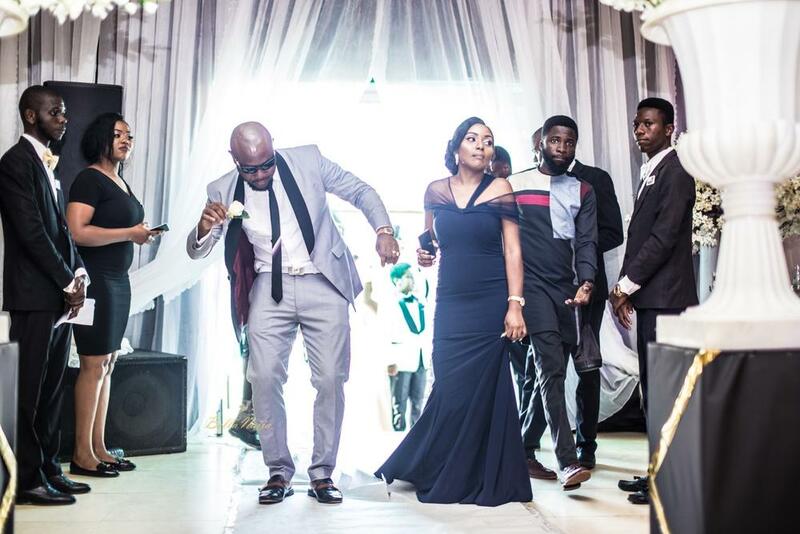 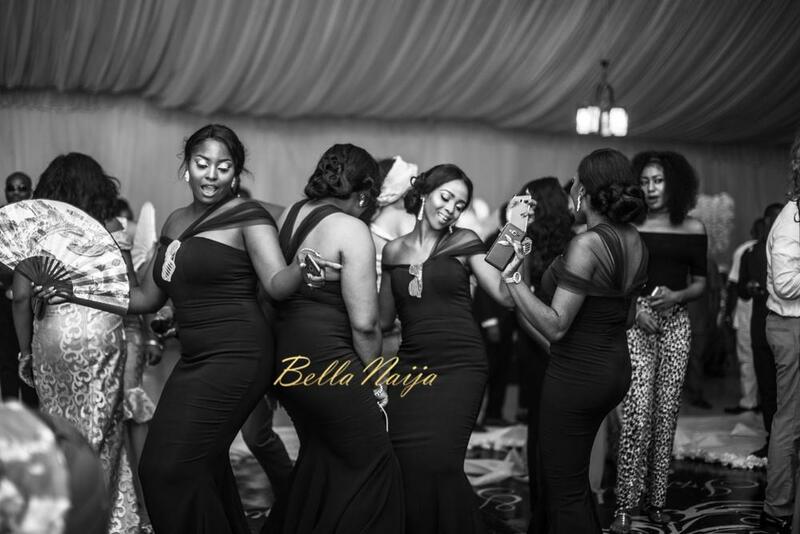 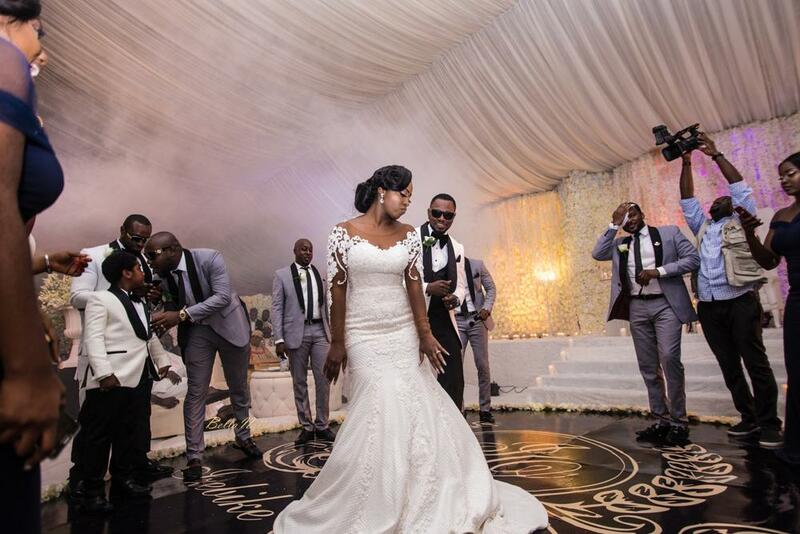 After the church service, the wedding party moved on at the reception where the lovebirds danced the night away! 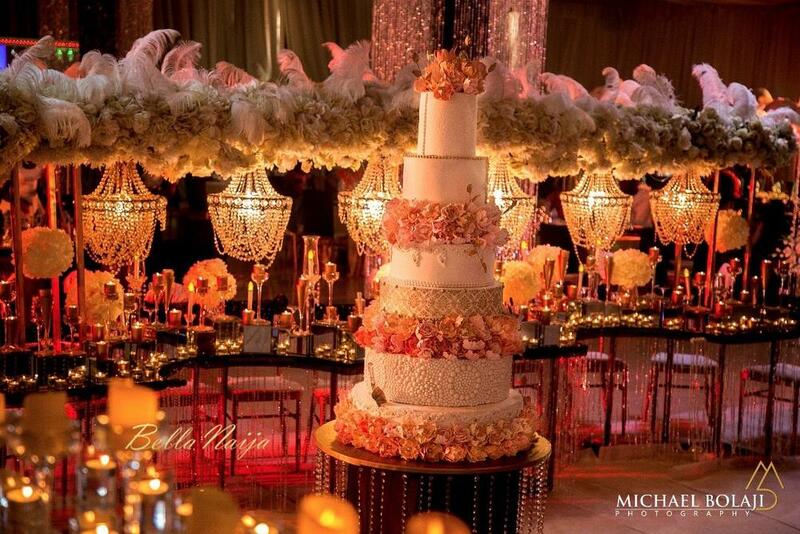 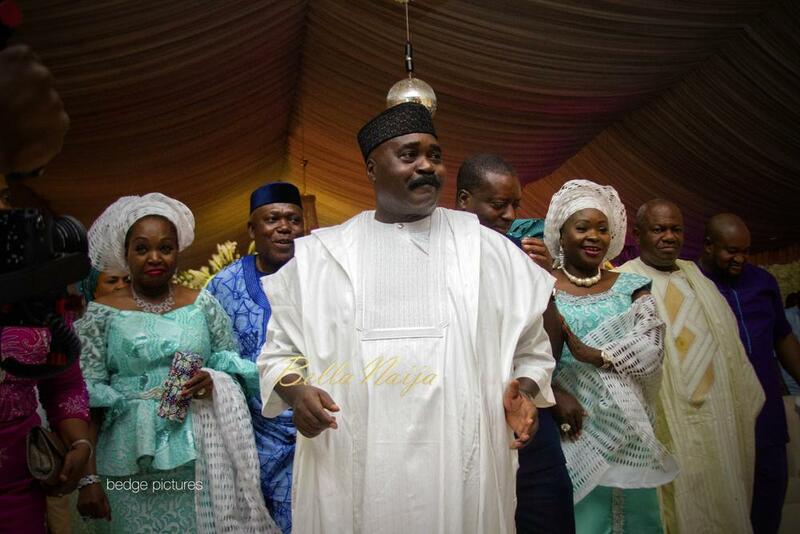 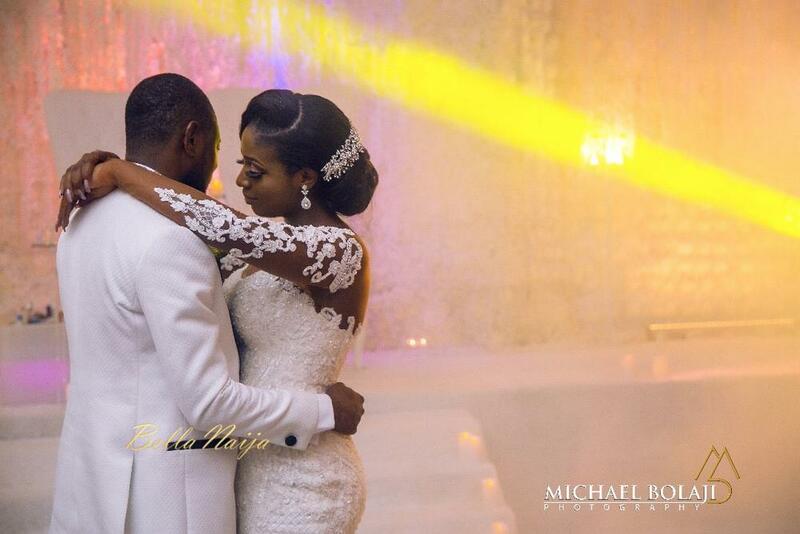 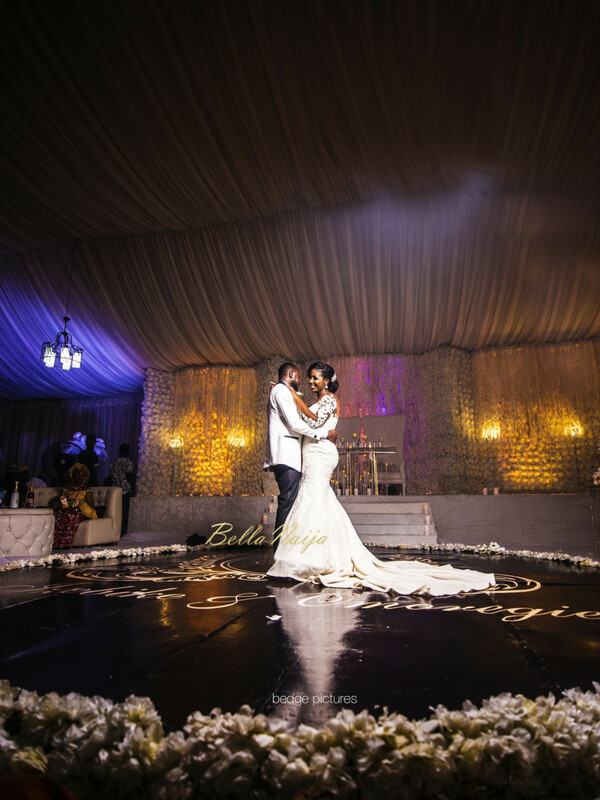 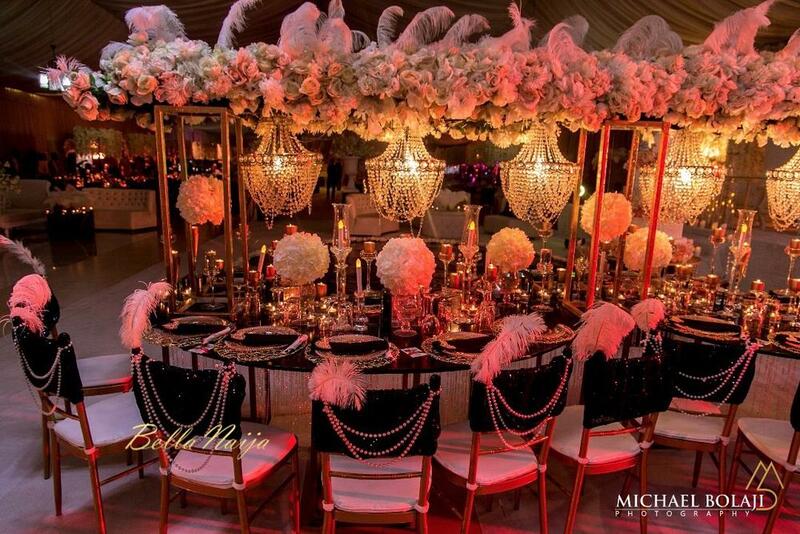 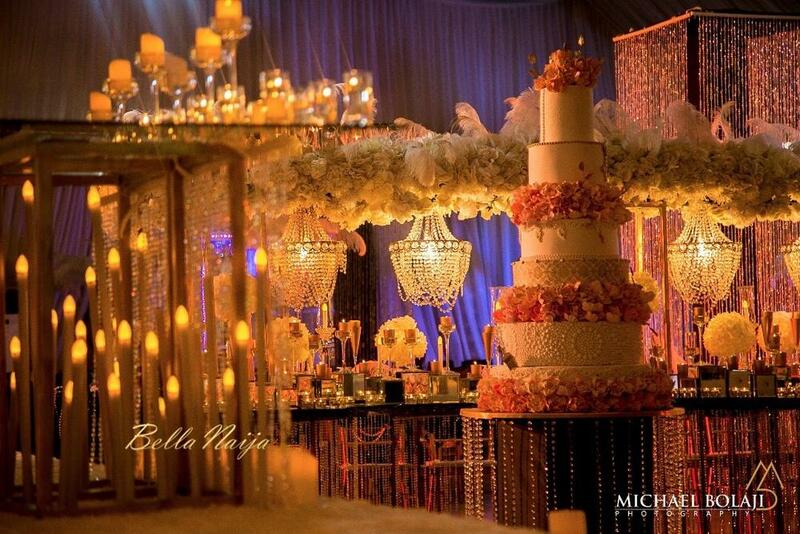 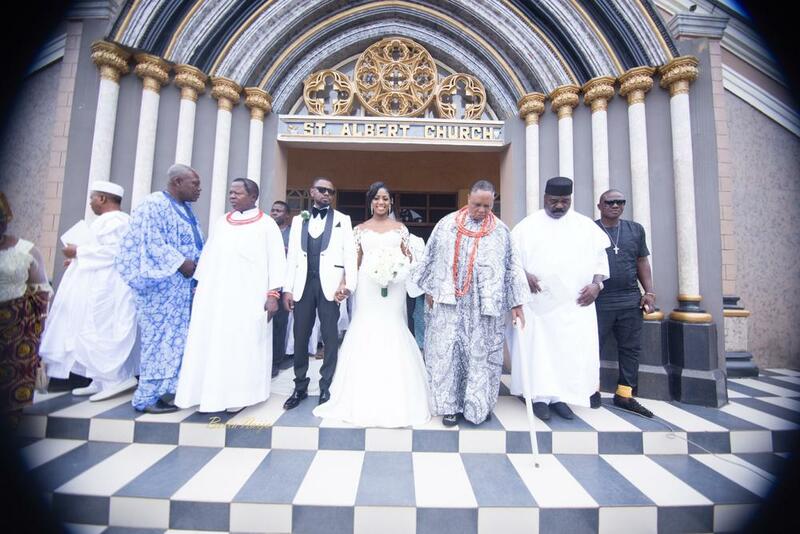 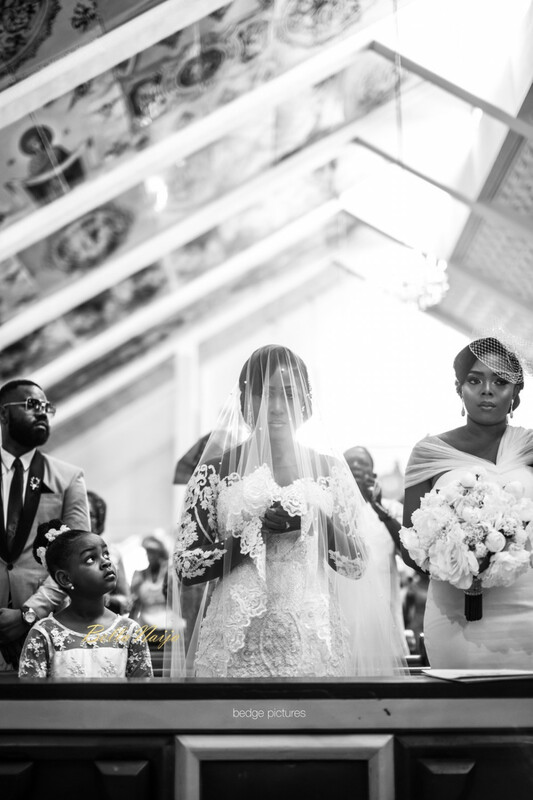 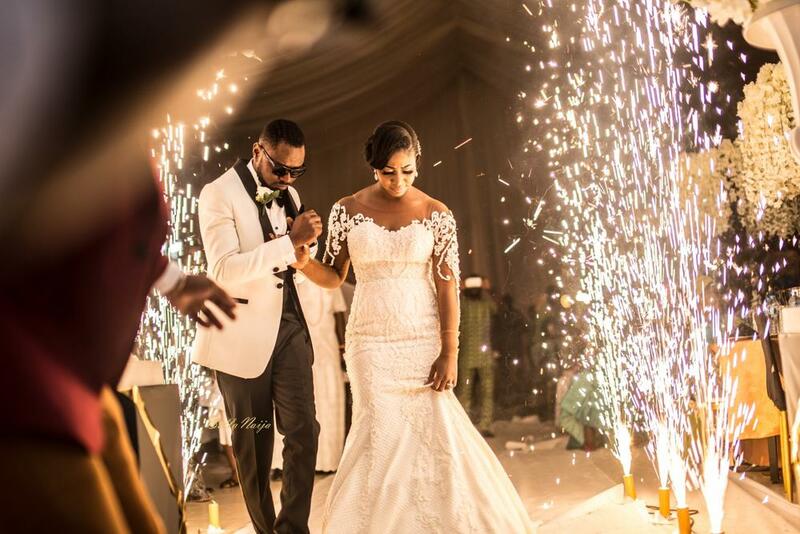 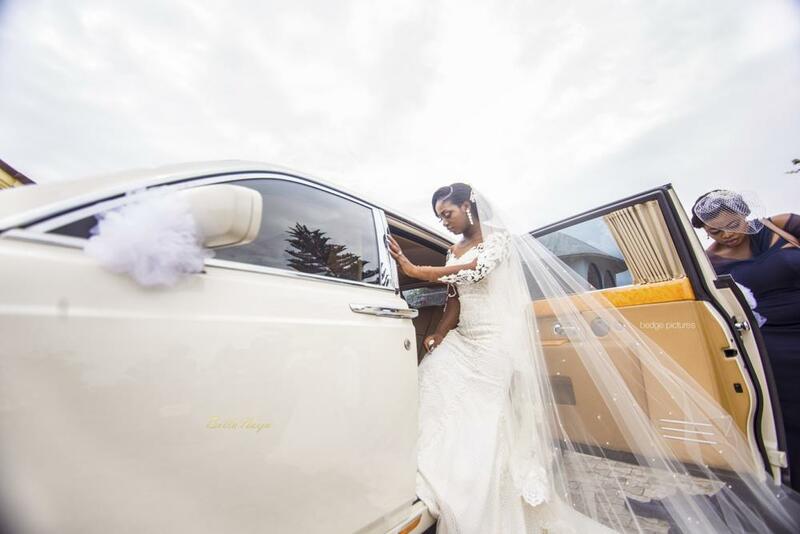 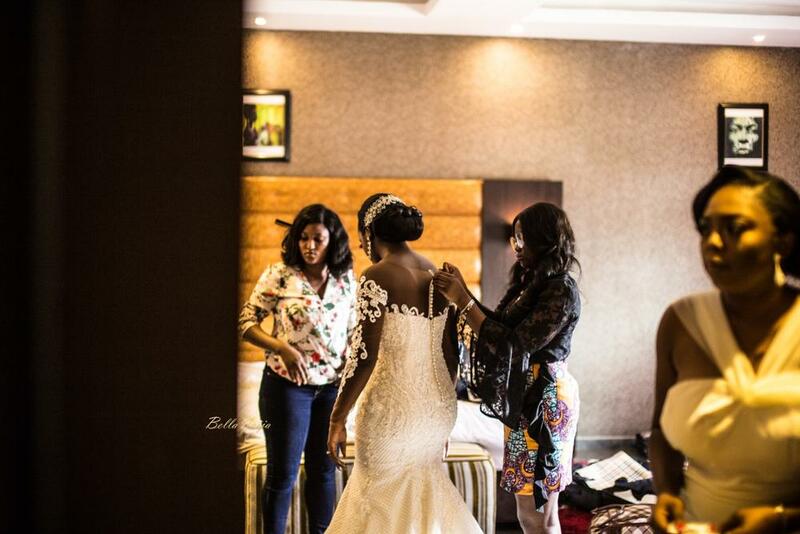 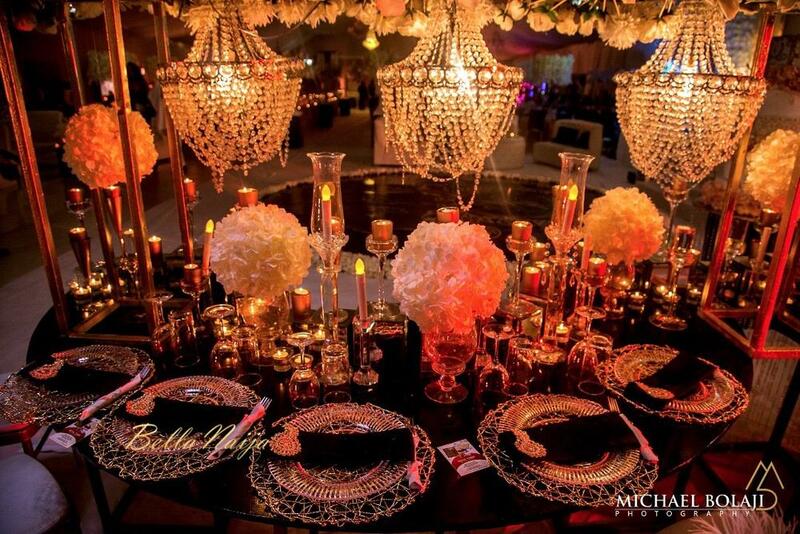 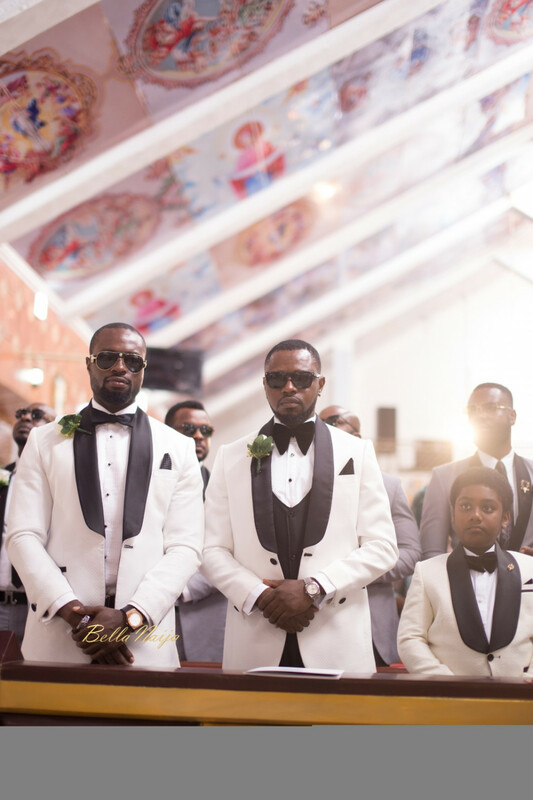 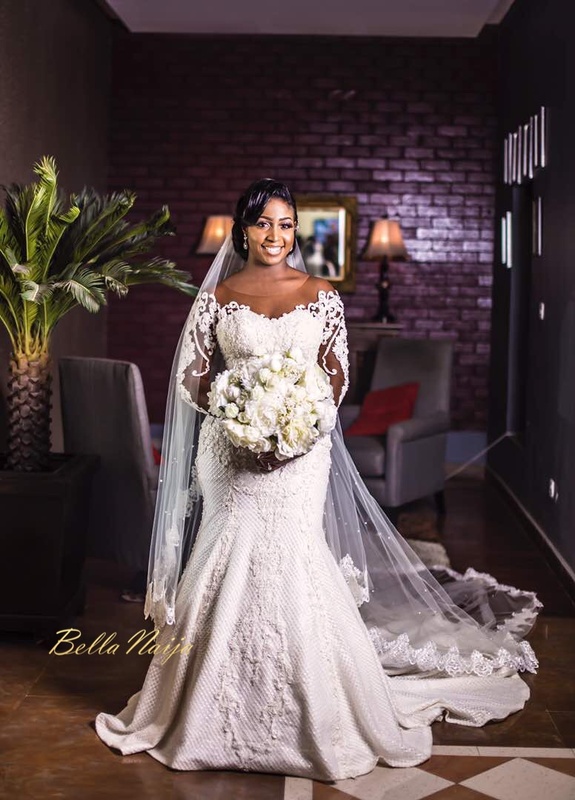 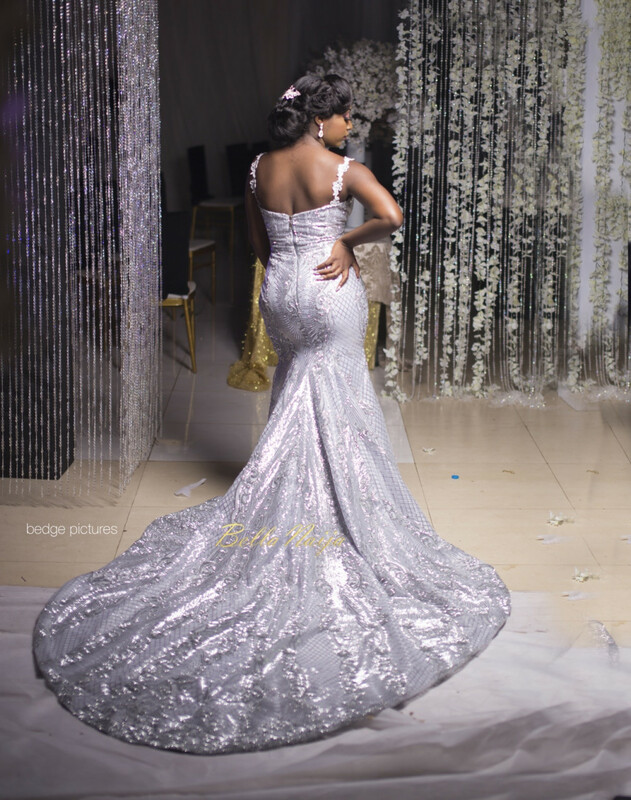 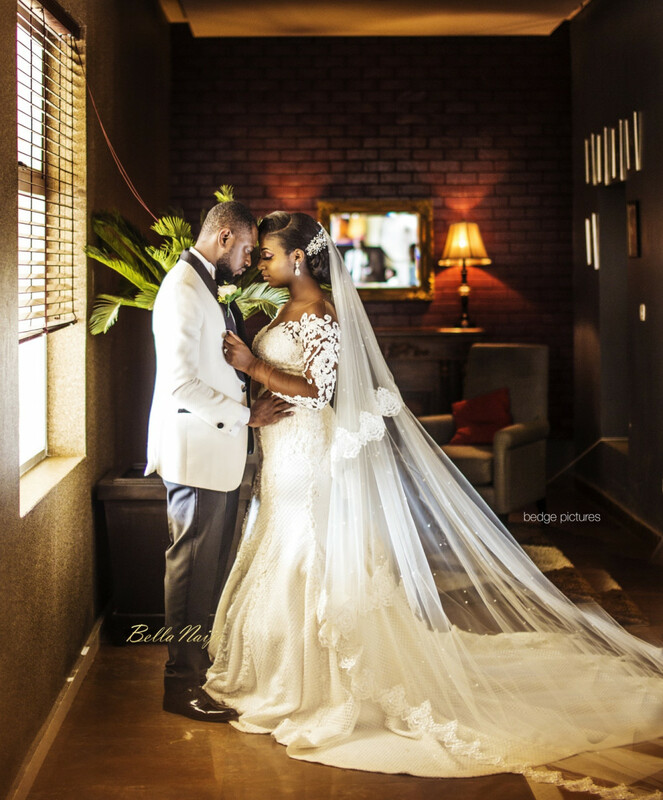 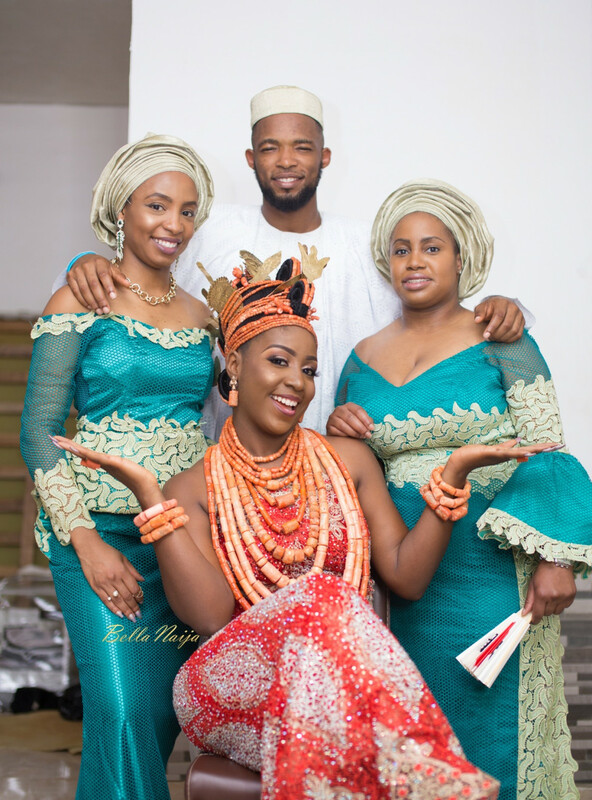 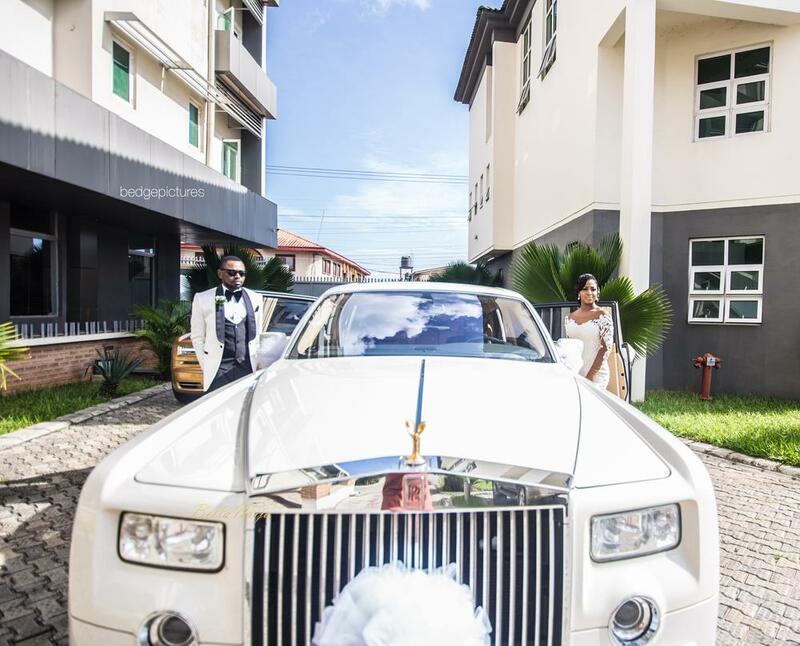 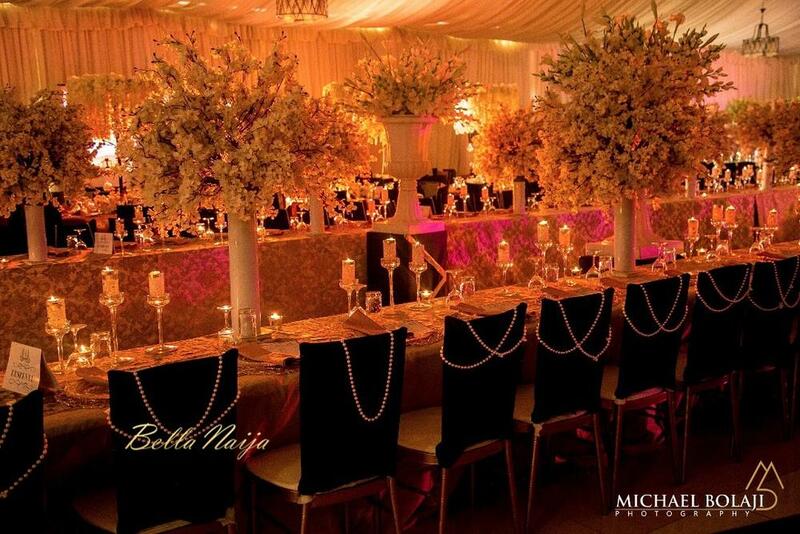 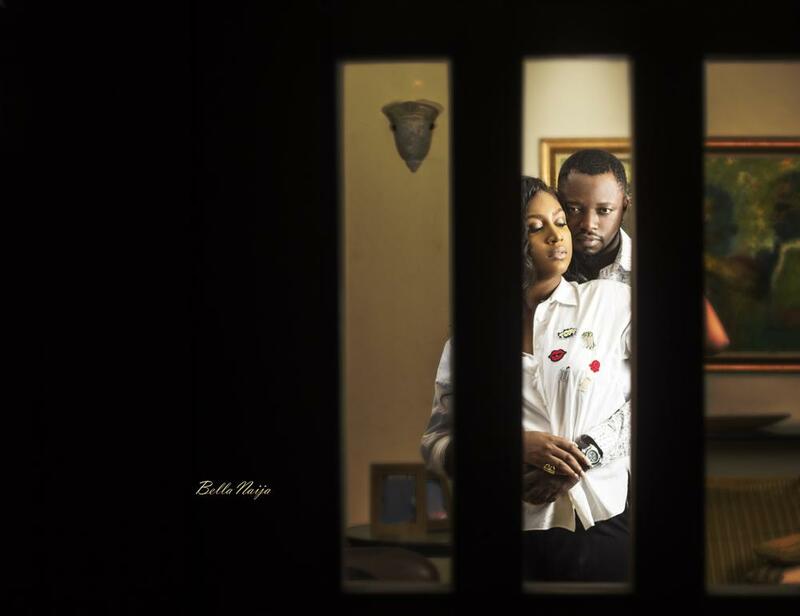 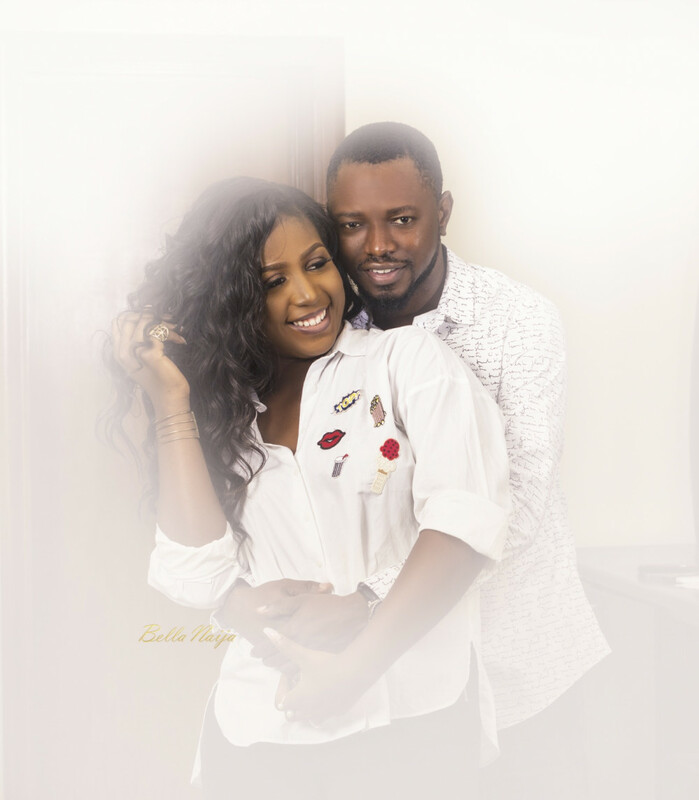 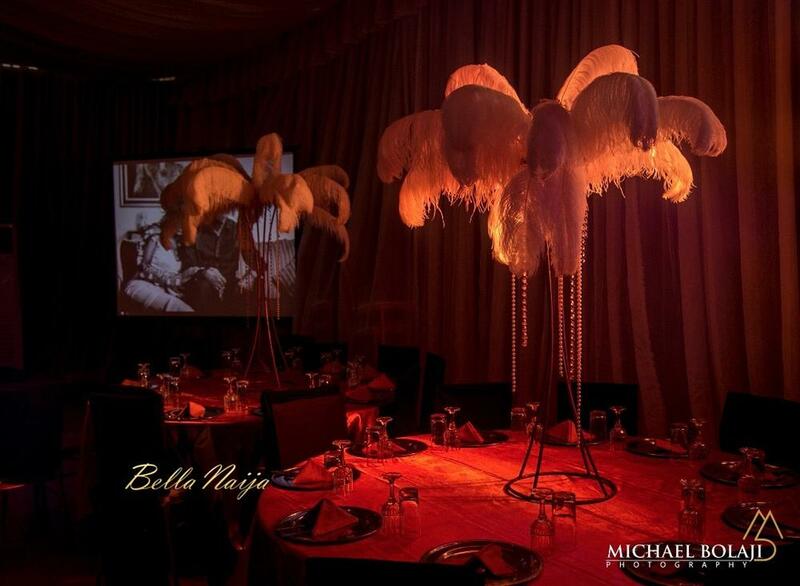 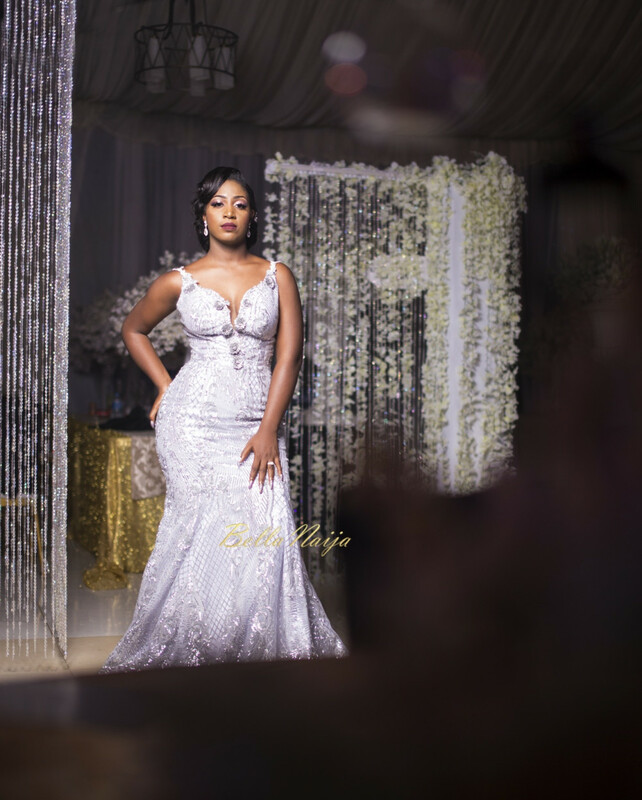 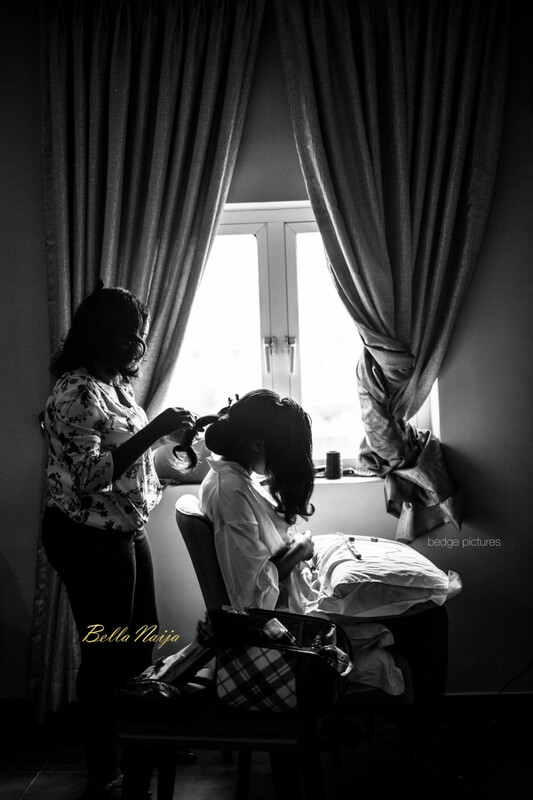 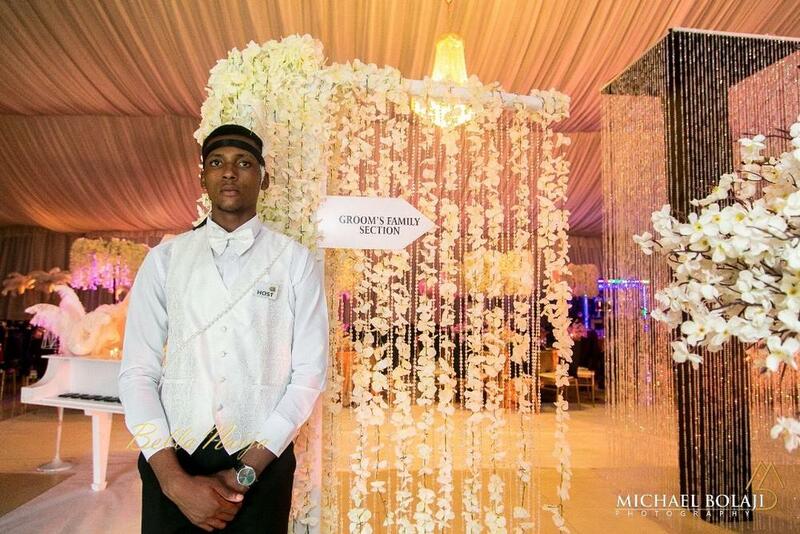 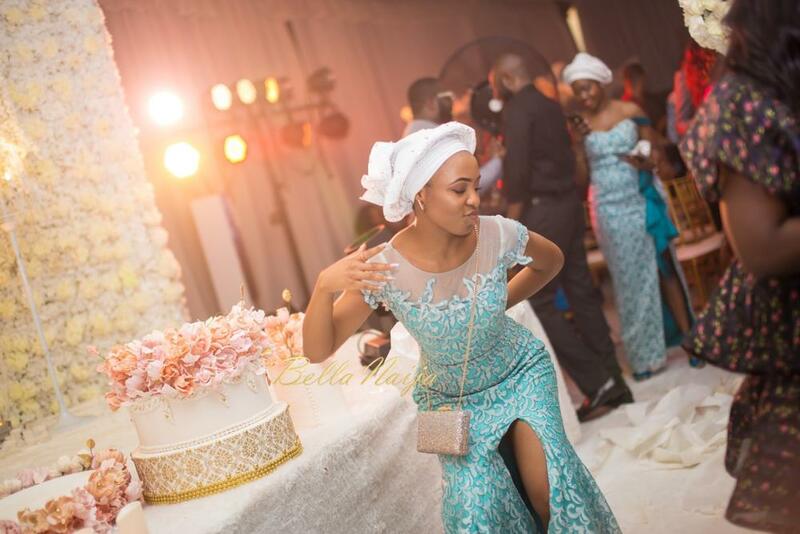 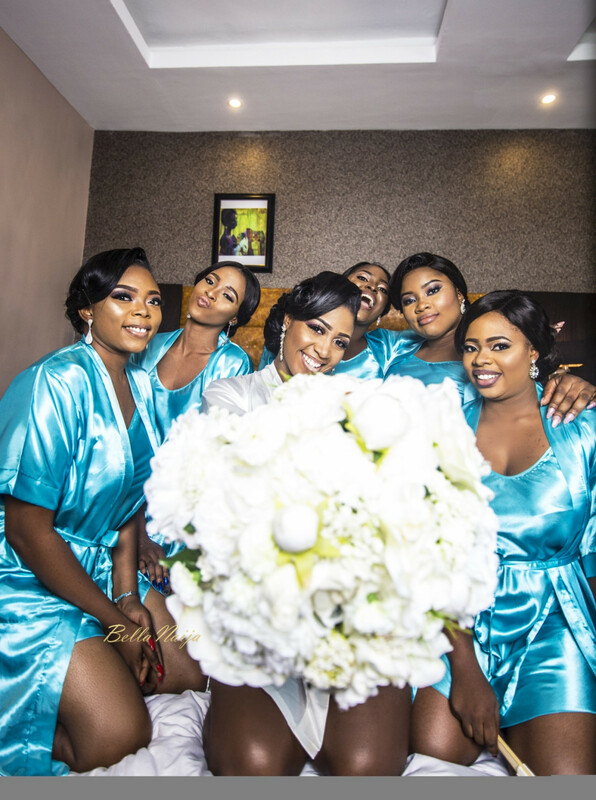 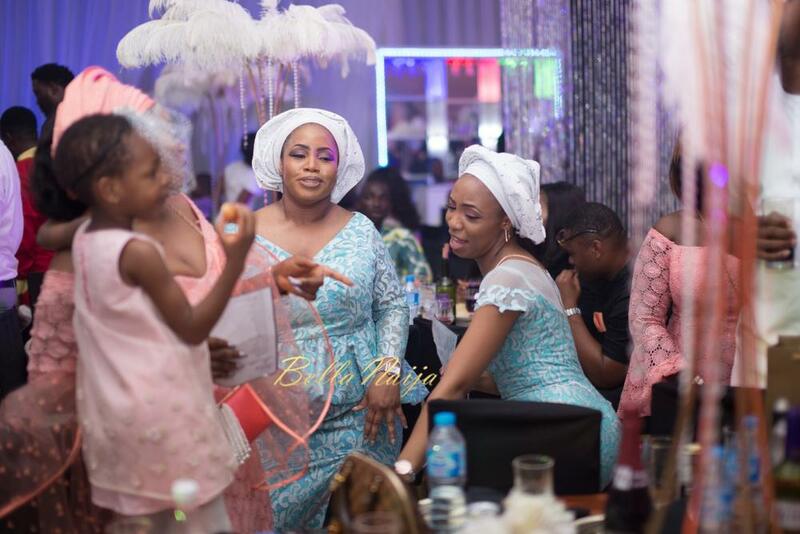 The white wedding was planned by Bisola of Trendy BEE Events with all photos by Bedge Pictures. 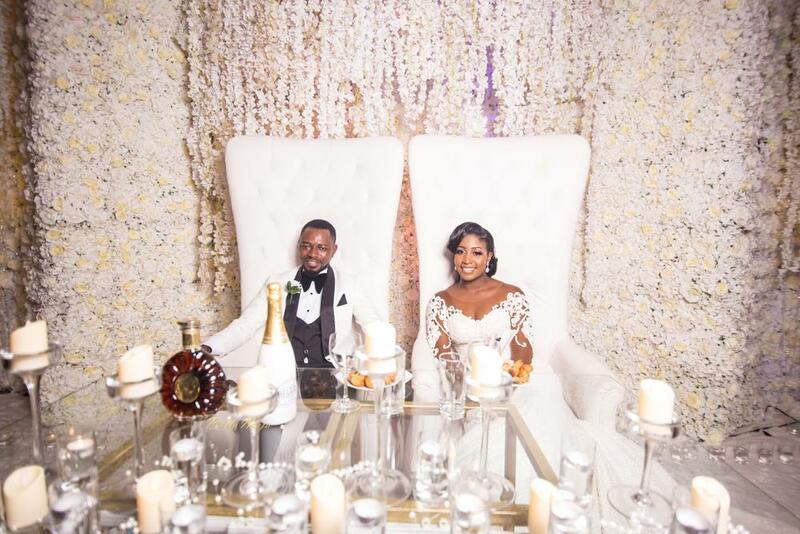 Wishing Daniel and Izebike Igbinedion a blessed life together. 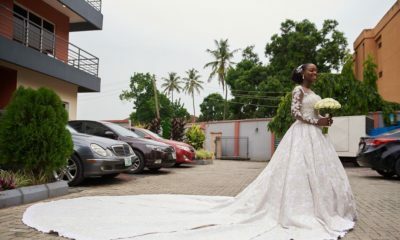 I agree, she is so cute and pretty. 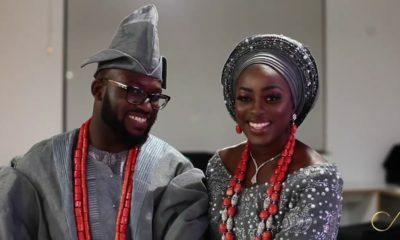 Congratulations to big Apple and her hubby,May God bless your union! 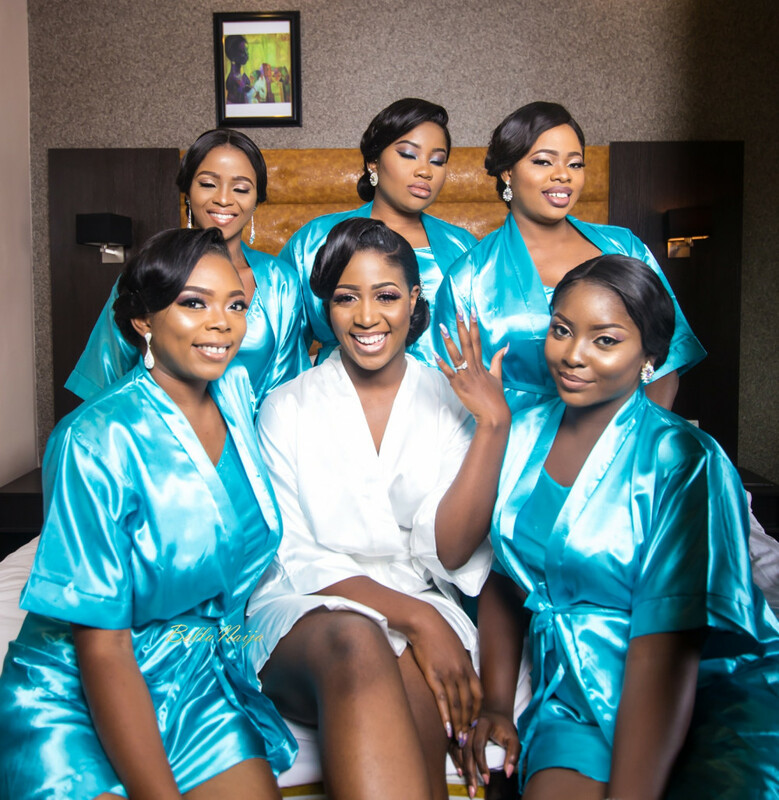 The fact that she had 5 bridesmaid looked so beautiful and coordinated..and she’s such a beautiful bride.